Note:I wrote this article as a guest post for Netzpiloten.de, one of the oldest blogs in German language on the Internet. The German Federal Ministry of Labour is working on a law for home offices and actually wants people to be able to choose when and from where they go about their work. Traditional companies such as Otto and Siemens build workspaces for their employees in which they can work together across departments without a fixed seating arrangement, thus anchoring collaboration and agility in the company. Office centers such as WeWork, Rent24 and Design Offices place foosball tables and colorful sofas in front of the glass office boxes and call this the community and future of work. The bottom line is that everything is well-intentioned, but then only poorly accomplished. The people in the coworking spaces are the ones who can do all this well and above all out of conviction. Last Saturday more than 150 of them met in Mannheim for the annual COWORK, a conference with BarCamp on Coworking and New Work. In the year 2015, I was a guest for the first time. Since 2016 I have been involved as co-organizer of the event voluntarily. The German-speaking coworking scene is still tiny and young in itself, but already excellently connected. Every year the guest list of the COWORK grows and the number of international guests increases steadily. It’s not just about the offices. But this year I was particularly surprised by two things. First, half of the sessions offered at the BarCamp were about coworking in rural areas. Every time someone suggested another session around the topics Rural Coworking, Workation, Jobs for Commuters or Team Offsites, the crowd applauded. Even politics has the topic already on the screen and seems to develop a weakness for coworking spaces in its efforts to achieve equal living conditions. Second, many BarCamp sessions revolve around the professionalization of coworking spaces and new business areas. Everybody’s talking about coworking. It has been for quite some time, but unfortunately far too often as a pure buzzword in marketing. In the meantime, however, it seems to have been understood that coworking spaces are more than just offices with Wi-Fi, tables, and chairs. Above all, the values of the movement – openness, community, cooperation, accessibility, and sustainability – are defining elements with which coworking spaces can differentiate themselves from previous office providers. Besides, there can be themes such as creating a place for freelancers, coworking for women or coworking in the countryside. The Why is relevant. The coworking scene is a living example of New Work. The coworking scene thus shows that it is not only a place for New Work but that it is currently the best example of Frithjof Bergmann’s ideas. Coworking Spaces have already developed and delivered answers in almost all points of the current debates about the new working world. No wonder that we are somewhat surprised by the state of discussions about New Work, flexibility, self-organization, networks, innovation, communities, and freedom in the German economy because they seem so backward. The scene has a momentum in which it can have a lasting impact on the development of the new world of work. We had done this before, as Markus Albers showed in his keynote speech at COWORK 2019. Coworking, especially its principles, are part of the new working world. So far, however, only everything haptic has been copied. But how we view, develop and maintain communities as coworking scene will become even more relevant in the future. Anja C. Wagner showed this perspective in the second keynote of the opening day. We should move forward again and create a reality in our coworking spaces that seems like a utopia in the companies. In the end, this is how we convince people of the culture of working together. Coworking is a culture of togetherness. For me, an essential finding of this year’s event remains that our product is not the workplace, but our culture. Coworking is a culture and not a profit center of the real estate industry. This culture is incredibly diverse. The rooms are an instrument that helps us to create something according to our values. Nobody runs a coworking space for work. We want to create an environment in which people are not alone, in which niche groups can develop or social minorities can move freely. We want to improve the world with the help of coworking. 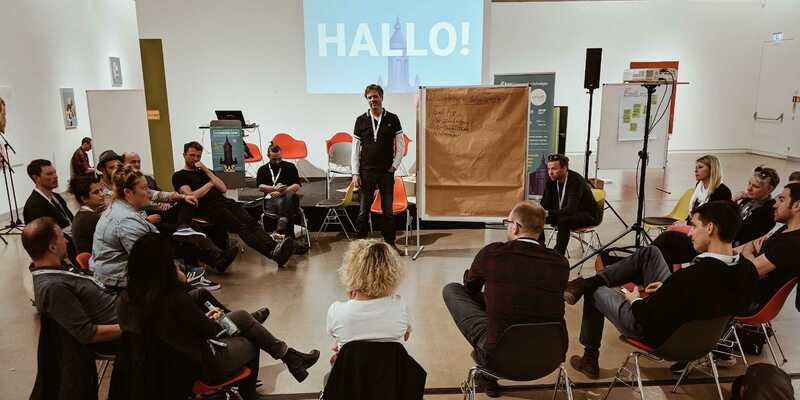 COWORK 2020 will take place from 24 to 26 April in Erfurt.